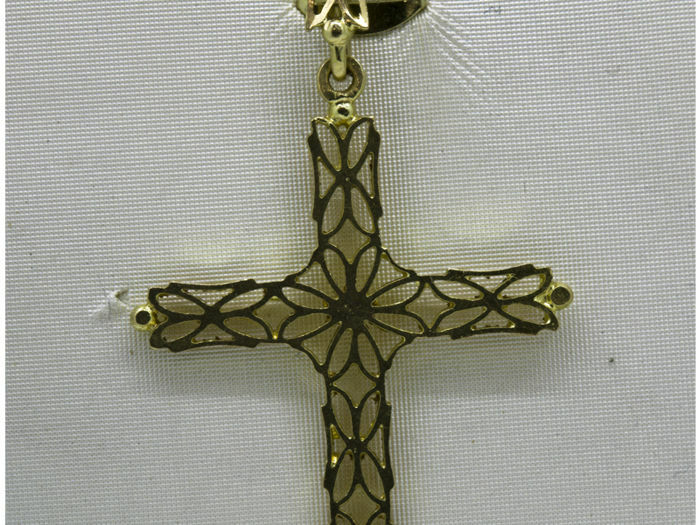 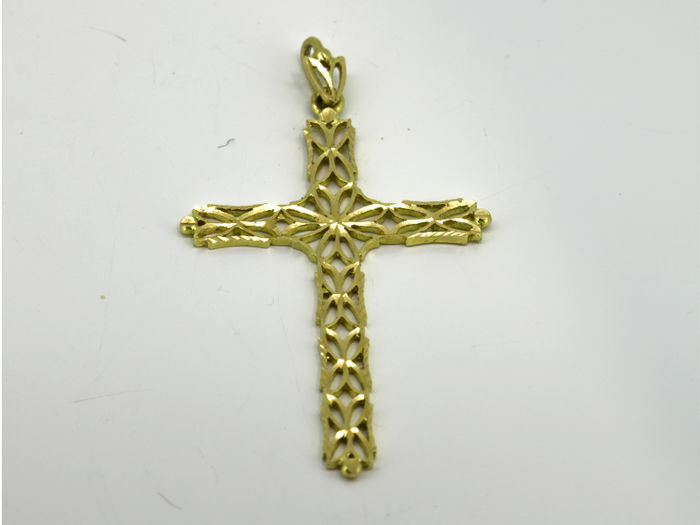 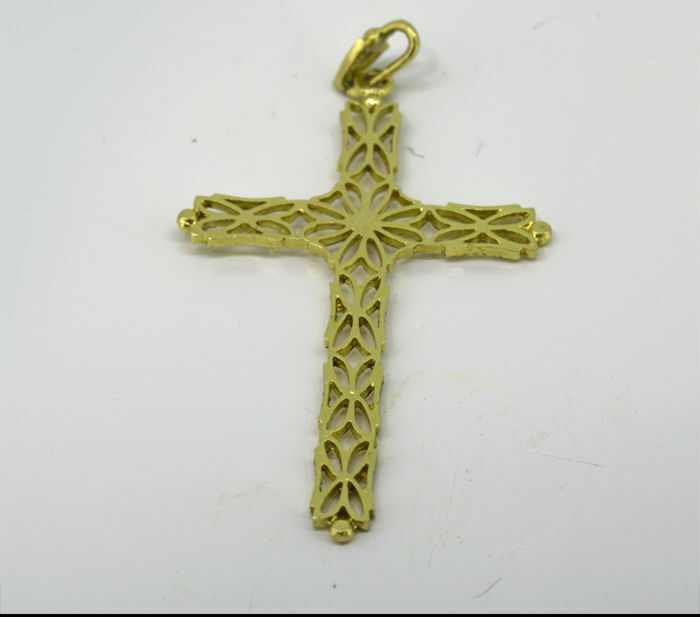 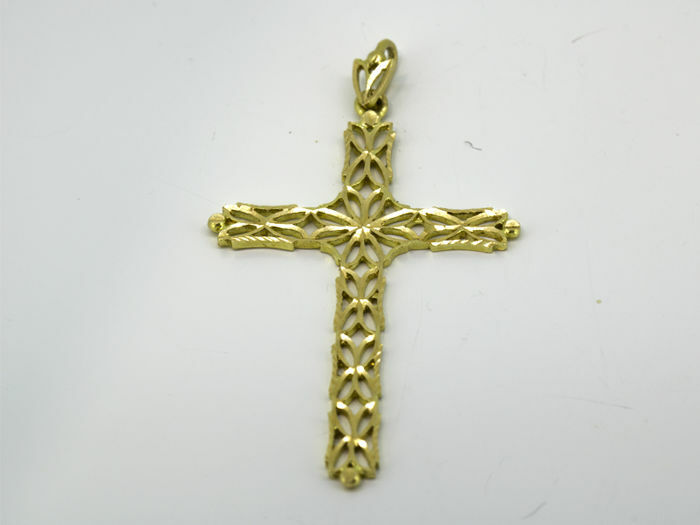 Cross with a length of 4.5 cm, width 2.5 cm wide. 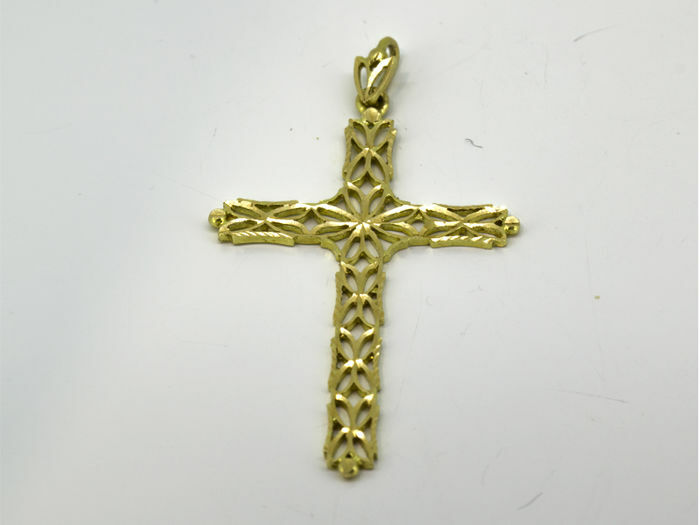 The gold quality has been verified and hallmarked by a professional. 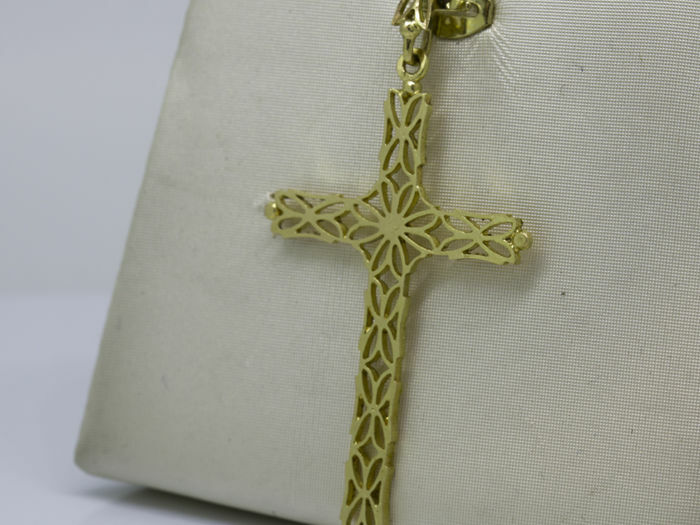 The item will be securely shipped via courier service with insurance within 24 hours after payment. 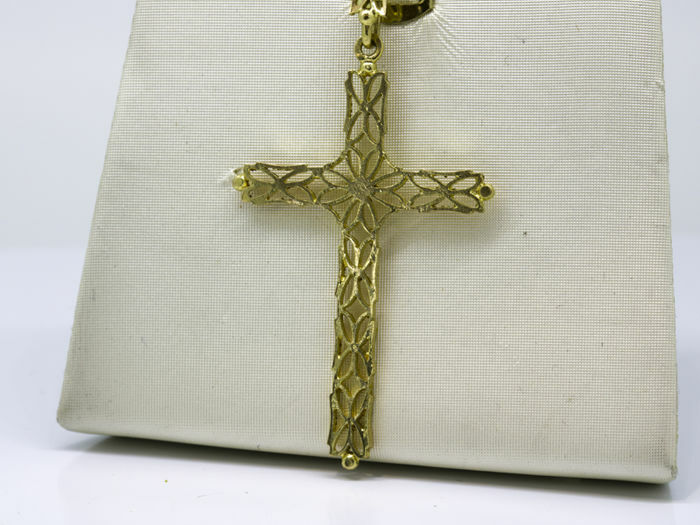 Professionally checked and inspected.